Is your daily coffee preparation dominated by matters of quantity? Or is quality more important than quantity? 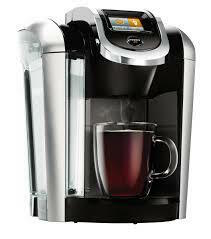 Keurig coffee is much quicker to brew than drip coffee, as it is single serve. So speed may be a factor for you. Here we are interested in what’s the overall better brew method. Cost efficiency dominates some peoples choice for preparing coffee and so does time, money and health. It can get quite expensive because of the K-Cups. However, it remains that the freshly sealed K-cups come in a wide variety of flavorful brews at different price points. Drip coffee can be produced in much more mass than Keurig coffee making it easier to buy for an affordable price. And these days with the advent of top of the line single serve brewers like the BUNN MCU or the Technivorm Moccamaster 69212, or even the low cost (and well reviewed) CHULUX Single Serve Coffee Maker, all of which can brew both k-cups and/or standard coffee grind you can make amazing coffee at home extremely fast without using k-cups if you don’t want to. Contrary to what many people believe, Keurig coffee is a totally different beast when compared to instant coffee. It is actually quite different from most brew methods. Regardless, let’s match up these two to determine what helps your bold roast caffeinate and dazzle you with flavor. We are first led to perhaps the most important factor: Taste! Depending on what kind of coffee you’re using the taste is up in the air. The Keurig brewers typically have a great flavorful cup in store for you. The K-cups are sealed until you put them into the machine to brew and this makes the fresh coffee readily available. However, the grind is uniform in the K-cup which can be a huge benefit, but those who invest in the incredible burr grinders out there will likely find the inability to change the grind size to their preference a disadvantage. If you are looking into getting a good drip machine, then you’ll also likely want to invest in a proper grinder and fresh beans to really try and out-compete the Keurig brewer. There are thousands of kinds of coffee beans available to the average consumer and this leaves much to be desired with the Keurig. Not that there aren’t a wide array of coffees, teas, and ciders available in the K-cup format, it’s just not the same as the fresh grinding process. Here are our favorite organic coffee companies. Still, this can be remedied with the reusable K-cup to an extent. This functions just like one would imagine and allow various coffees to be made in the Keurig brewer. The user is only going to be able to control the strength of that brew so much. Just another aspect to consider. Keurig as a brewing method has come under scrutiny from some experts as well. Their outlook is that the Keurig and other pod coffees keep the beans in contact with the heated water for a far-too-short period of time. Additionally, the experts state that because the Keurig prides itself speed of delivery quickly the end product is rushed. Rushed coffee means a lesser extraction of the flavors and oils that coffee lovers are searching for. The brewing time and temperature are what many find to be lacking in Keurig’s brewing process. The process should be about extracting the oil from the bean in the best way possible, and the relatively colder water of the Keurig brewing machines and the really fast brewing time means it’s going to be under-extracted, ultimately produces a much more watery beverage. Combined with the fact there’s not much actual coffee in the pods, and the result is a very weak cup of coffee when most people want a good strong cup. Typically one will find that the drip coffee system does the job it was designed for quite well, and with little need for recalibration, even with the larger commercial units. But what about the crema and wonderful aroma? Drip coffee likely won’t develop much of a froth, it’s just a matter of the brewing process itself. Using specialty filters or freshly roasted beans aren’t likely to help one on this front either. Contrary to popular belief, the Keurig isn’t going to deliver crema either. This isn’t a time where you can trust your senses either. Again, due to the process. Understand that the Keurig pumps coffee through a small diameter orifice, commonly called the pins. In doing so the coffee becomes frothy as it is essentially aerated, giving the appearance as though a crema had formed on the surface. 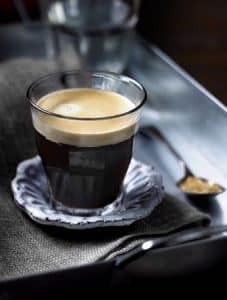 The fake crema wouldn’t last as long as the nice oily bubbles that you get on the top of a coffee from an espresso machine, or in an Aeropress brew. Not only is this simulating the look of a higher quality coffee, but it’s the aeration that puts the scent of freshly brewed coffee into the air. 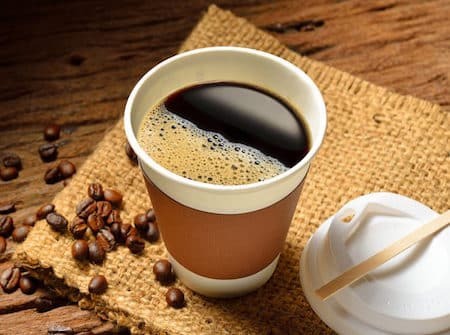 So the benefits of coffee haven’t made their way into your Keurig brew, but what else is there to consider in the health department. Here’s one for the health nuts. In coffee, preparation method has a large impact on cafestol concentration. Cafestol is thought to have a significant effect on us, not only by imparting users with caffeine but also with the vast majority of cholesterol-raising properties that we are often warned about when consuming too much coffee. With French, Turkish and boiled preparation methods producing the highest cafestol concentrations, drip coffee, and Keurig are on the chopping block next. The health warnings begin in the K-cup though. Though Keurig recently switched to pods that are BPA free, they did test positive for estrogenic activity and may also contain plastics like polystyrene, a possible carcinogen. The next critique health watchers cite is that the top of these k-cup coffee pods is usually made of aluminum, which has some health concerns of its own and which may have some implications in brain health and development. Around here we are big advocates for the biodegradable k cups for a variety of reasons including less plastics involved. Though there are many urban myths which describe the Keurig as harbingers of mold spores, it’s not isolated to the Keurig brewer. Coffee is a great nutritious medium for mold growth, so anything you’re going to be preparing coffee with should be cleaned. There are plenty of coffee cleaners and descalers out there, so find one that works for you and your budget. You can also see this post for specifics on cleaning your Keurig coffee maker. This isn’t a matter of simply defying mold either. It’s recommended to practice the utmost hygiene when preparing coffee with any equipment. Overall, coffee is a low-calorie drink and can have several health benefits when enjoyed in moderation. The good news for those cheering for Keurig pods is that standard K-cups pods the same nutritional value as regular filtered coffee. Drip coffee does have some significant impacts on delivering compounds like magnesium, potassium, and niacin. This is published as great news for coffee lovers in a variety of scientific journals. 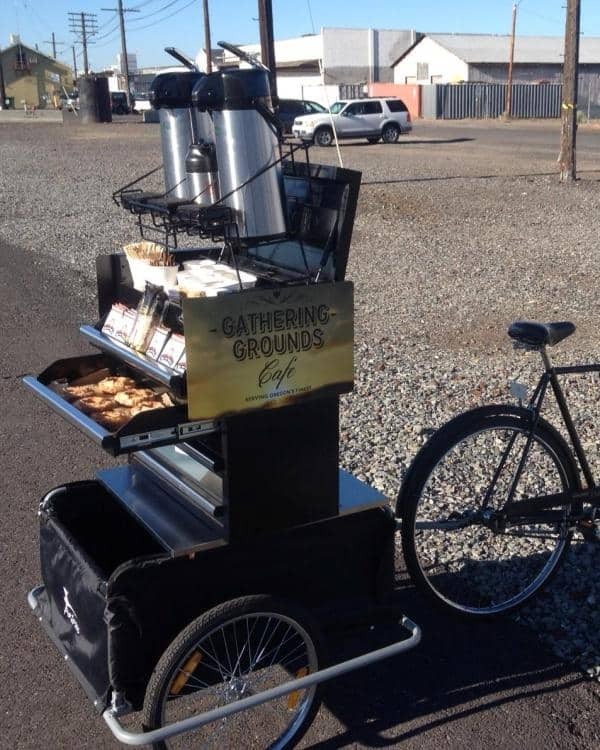 Luckily for you, there’s plenty of drip coffee to go around, as it’s a common beverage wherever you look. And it’s a relatively cheap option depending what part of the world you’re in. Now let’s talk about the cost analysis. How does it affect your pocketbook? One comparison between Caribou brand K-Cups versus ground coffee showed that the per-cup cost was 66¢ versus 28¢, respectively. That means if you were to make three cups a day for an entire year, that would add up to around $730 spent on K-Cups, versus $300 for regular coffee brewers. So you’d easily save around $400 a year by going with the old-fashioned Bunn brewer. Standard drip coffee has many different forms and many different machines you can use to brew it. Keurig coffee is produced by a single company, but there are still many different ways to brew it. So depending on what kind of ground coffee or beans you go with, you could save a lot of cash. However, we all know that great coffee beans aren’t cheap either. Beyond the actual coffee itself, it’s relatively common knowledge that a good drip brewer is inexpensive, but it’s a slightly larger investment for a new Keurig. Not to mention, the upkeep of the Keurig, after purchasing descaling solutions and the specialized mineral water filters that keep the machine from becoming clogged more frequently. After all, we know that they face problems getting clogged without regular maintenance). Although it’s relatively easy to troubleshoot and fix your Keurig. Still, the drip brewer might just win on this round. The experts confess that when approaching investments with single-serve systems, you’re not just paying for coffee. Like many things in life, you’re paying for convenience and the technology that makes it possible to brew a single cup in seconds. Is one brewing method truly faster than the other? 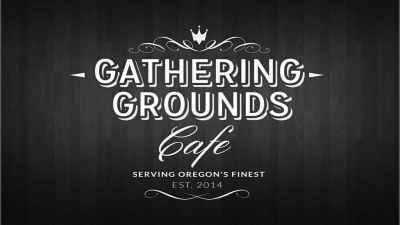 Drip coffee is by and large generally less expensive and among some of the machines are exclusively designed to help you save a lot of time. There are machines that have internal clocks you can set to start brewing coffee in the morning, preventing the hassle of having to wait after you wake up. As soon as you get up you can go enjoy a cup of coffee with little to no hassle. That is the big benefit to drip coffee. Most of their machines have little conveniences like this that make them more and more convenient. They definitely save a lot of time, if you’re in a pinch, but they don’t save nearly as much time as a Keurig coffee machine. Especially if you’re looking to brew a single cup and cut down on your caffeine consumption. It’s easy to find an inexpensive drip coffee maker, and likely will have a programmable timer, you might even consider a coffee maker alarm clock combo! 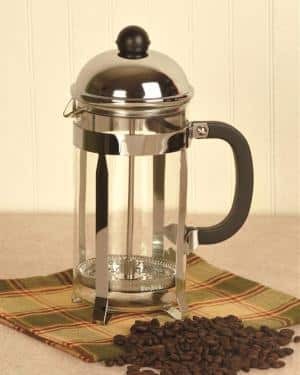 Another thought here is that the there are many drip coffee makers that pride themselves on storing already hot water and brewing a full ten cup pot of coffee in a mere matter of seconds. So the brewing methods differing time-wise is likely just another myth from those hiding in the big coffee headquarters. Perhaps the biggest complaint many have against the Keurig brewers is the wastefulness of the individual serving cups. 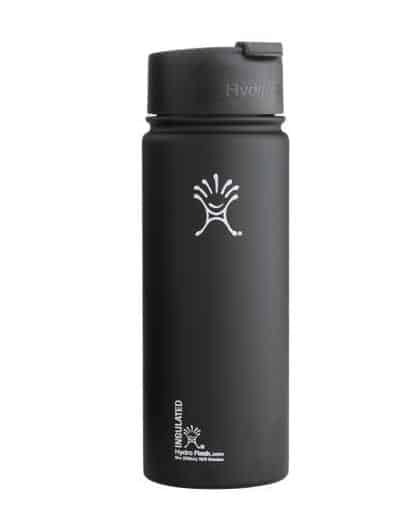 The company has made an effort to make reusable k-cups and recyclable cups though. 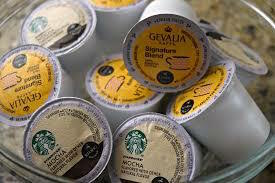 Additionally, because Keurig has long been criticized for the difficulty in recycling its coffee pods, they were condemned by Clean Water Action in 2011. 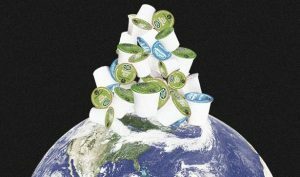 This prompted the Keurig company to pledge that all K-Cups would be recyclable by 2020. This is a great thing to work towards, but when compared to waste created by the drip coffee maker there’s a huge divide. 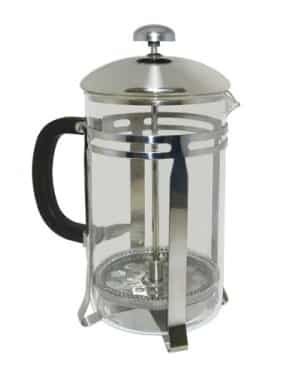 The drip coffee maker uses paper filters that are bleached, but often the unbleached filters can be composted along with the grounds quite easily. However, you can recycle K-cups. It isn’t impossible. And regardless of what process you use, there are plenty of uses for leftover coffee around the house. If you can’t quite afford a Keurig coffee maker, drip coffee will always suit you just fine. I firmly believe that if you have the opportunity to switch, the Keurig coffee maker will be much more worth it than hanging on to that drip coffee maker. 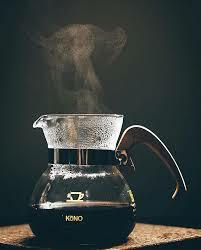 All methods of coffee brewing are healthy to a certain extent, I think drip coffee has a bit of a one-up there, as it doesn’t have the excess flavoring and such in it. Keurig coffee makers don’t have a very high concentration of caffeine, however, so this can be a potential downside for those of you that really need your caffeine. There are some k-cups that have a higher concentrate, though. In the end, drip coffee can’t really compete with the versatility of the Keurig coffee, but drip coffee is always the default backup when we don’t have the ability to get any other type of coffee at the moment, and there is nothing wrong with that. One solution we also like is to not choose one over the other. Lots of people are starting to pick up fancy new machines that brew either k cups or regular coffee and some of those machines don’t cost very much either. If you enjoyed this comparison, feel free to check out our review of the brewing processes of French press and Pour over methods. What is Coffee Liqueur and How is it Made?